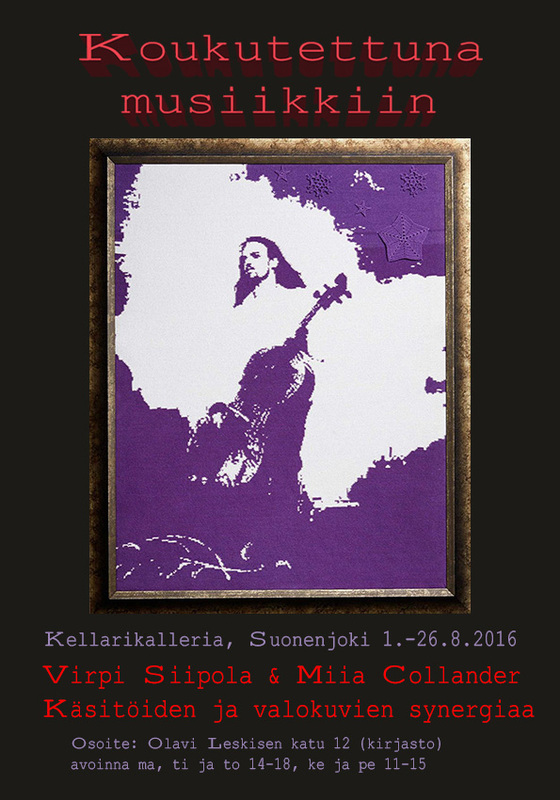 Exhibition: Hooked on music-synergy of crafts and photographs – Käsitöiden ja valokuvien synergiaa! Näyttely elokuussa 2016! In August I will display an exhibition called Hooked on music-synergy of crafts and photographs. They you can view all my music inspired crochet and cross stitch work that have been modeled and inspired by the photos of music photographer Miia Collander. Miia’s photos are also dislayed! Posted on 16/06/2016, in Uncategorized. Bookmark the permalink. Leave a comment.